2013 Year-End Charitable Giving Strategies | The Levin Law Firm - Philip Levin, Esq. Charitable giving in the United States exceeded $316 billion in 2012, so it is no surprise that this continues to be a popular topic when it comes to year-end tax planning. Religious organizations were the major recipients, receiving 32% of the total. Being charitable has its rewards, both tangible and intangible, but one of them is that a tax deduction is generally available to individuals who itemize deductions on their individual income tax returns. While there may be concerns regarding the deductibility of charitable contributions, it should continue to be an important part of year-end tax planning strategies for your clients in 2013. That being said, a tax strategy in and of itself is not a reason to be charitable. A deduction or tax incentive is merely a byproduct of that generosity. Below are some important guidelines and five (5) ways to engage in charitable giving by the end of this year to be eligible for a potential tax savings. We will then review the impact of the “Pease” limitation on itemized deductions, that applies to high-income individuals and its effect on the deduction for charitable giving. Gifts to qualified charitable organizations (see the IRS website for a listing of qualified charities) are deductible on Form 1040, U.S. Individual Income Tax Return, Schedule A, Itemized Deductions. More specifically, contributions to public charities are deductible up to 50% of adjusted gross income (AGI). Gifts to private foundations, on the other hand, are deductible up to 30% of AGI. Deductible contributions constitute a tax savings of the total deduction at the individual’s top marginal income tax bracket. For example, an individual who donates $1,000 and whose marginal tax bracket is 28% would be eligible for a reduction in tax liability of $280. Cash Gifts. Many people who consider contributing to a charitable organization automatically think about a cash gift to a local or national organization. This is ideal for clients who may not own appreciated investments, are seeking to be charitable, and who desire to receive a tax deduction. Be careful to note any adjustments that may need to be made to the contribution amount (generally provided by the organization). For example, clients who attend a charity dinner and purchase a $500 ticket, where the fair market value (FMV) of the meal or event was $100, would be entitled to deduct $400 ($500 – $100). Essentially, the deduction would be the amount for which the individual received no benefit, which is the amount representing the individual’s charitable intent. Gifts of Appreciated Investments. This can include stocks, bonds, mutual funds, and exchange-traded funds (ETFs). The major benefit of making this type of donation is that in addition to the tax deduction, the client will not recognize a long-term capital gain on the appreciated investment. Remember, however, the asset itself must be gifted to the organization directly. Selling it and giving the cash will not provide the same result. An additional advantage to this strategy is avoiding the new 3.8% net investment income tax. 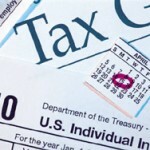 Many high-income taxpayers are subject to this surtax. Gifts of Other Appreciated Assets. While this requires a professional appraisal, clients should consider donating appreciated real estate, art, hedge fund investments, or partnership interests to achieve their philanthropic desires. To do this responsibly, both you and your client may want to discuss the intended gift with the donee organization to determine its capacity to receive such a gift. Without such a conversation, a donation that was originally intended to assist a charitable organization may become an undue burden. Many organizations have gift acceptance policies that would facilitate the process. Charitable Contributions Directly from an Individual Retirement Account (IRA). The American Taxpayer Relief Act of 2012 (ATRA), P.L. 112-240, extended the qualified charitable distribution provisions for 2012 and 2013. As a result, individuals age 70½ or over may make a charitable contribution directly to a qualified charity from their IRA. This gift will also satisfy any required minimum distribution for the year of the gift. This means the otherwise taxable distribution would become a nontaxable qualified charitable distribution. An IRA owner can exclude from gross income up to $100,000 of a qualified charitable distribution made for a year. Remember that the distribution must be made directly to the charitable organization—it cannot be received by the IRA owner first, which would create a taxable event. Consider a Private Foundation or Donor-Advised Fund. If charitable giving has become a major part of a client’s financial plan, consider these additional options for giving. At the most basic level, a donor-advised fund is an account in a public charity, whereas a private foundation is its own charitable organization. Considerations such as level of charitable activity, control over charitable donations and investments, administration, and flexibility will assist clients in determining whether this is an option that makes prudent sense as part of an overall financial and charitable giving plan. ATRA revived and modified the Pease limitation (named for the member of Congress who sponsored the original legislation) on itemized deductions for higher-income taxpayers. (The Pease limitation was eliminated for 2010 through 2012.) 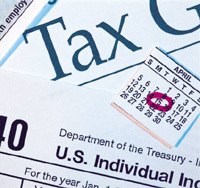 Under the new Pease limitation, if a taxpayer’s AGI exceeds an applicable amount based on filing status, the amount of the taxpayer’s itemized deductions otherwise allowable for the tax year is reduced by the lesser of 3% of the excess of adjusted gross income over the applicable amount or 80% of the amount of the itemized deductions otherwise allowable for that tax year. For these purposes, itemized deductions do not include medical expenses, investment interest, casualty and theft losses under Sec. 165(c)(2) or (c)(3), and gambling losses under Sec. 165(d). The new Pease limitation “applicable threshold” levels for 2013 are $250,000 for single individuals and $300,000 for married couples filing jointly. It is important to note that for the majority of clients, the limitations are based on the client’s AGI, not the amount of their itemized deductions. Therefore, it is difficult to attribute the limitation to one deduction over another. A simple example illustrates the limitation’s effect. Example: A married couple whose AGI is $1 million have $80,000 of potential itemized deductions. The amount above the AGI threshold, $700,000 ($1 million – $300,000), is subject to the 3% limitation; that is, $21,000 ($700,000 × 3%). The couple can now deduct only $59,000 ($80,000 – $21,000) of their itemized deductions. In this scenario, any additional deductible expense over and above the $80,000 would be fully deductible because the maximum limitation of $21,000 is applied without regard to specific deductions. As part of year-end tax planning for clients in 2013, it is important to have a discussion with clients about their philanthropic desires. Charitable organizations depend on Americans’ generosity, and this is an excellent way to give back while saving taxes at the same time. If you would like more information about estate planning and charitable giving strategies in order to help your clients to achieve their wealth transfer and charitable giving goals, please visit the Resources section of our website. To schedule a meeting with Phil Levin at The Levin Law Firm, to discuss the trust and estate planning needs of your clients, please contact Laura or Ginni directly at (610) 977-2443.